Last month I had an abortion. I’m 23 years old and am just starting out in my career. The man I’m dating is good to me – I could imagine having children with him in the future. But neither one of us is ready to have kids. I don’t regret my decision. I had to do what I had to do. But, I’m feeling emotional and I don’t have a lot of energy. It’s a hard thing to talk about with my family and friends. Ending a pregnancy is a decision that many women face in their lives. In fact, an estimated 1 in 3 American women will have an abortion before they are 45 years old. And it happens to all women- rich and poor, women of all races and ethnicities, and women at different ages and stages of their lives. The reasons why women choose to terminate a pregnancy are equally diverse: some are in bad relationships, some, like you, are just not ready to be a parent, some are already parents and find they cannot have another child for financial or health reasons. Bottom line, it’s an incredibly heavy-weighted decision. You are not alone. 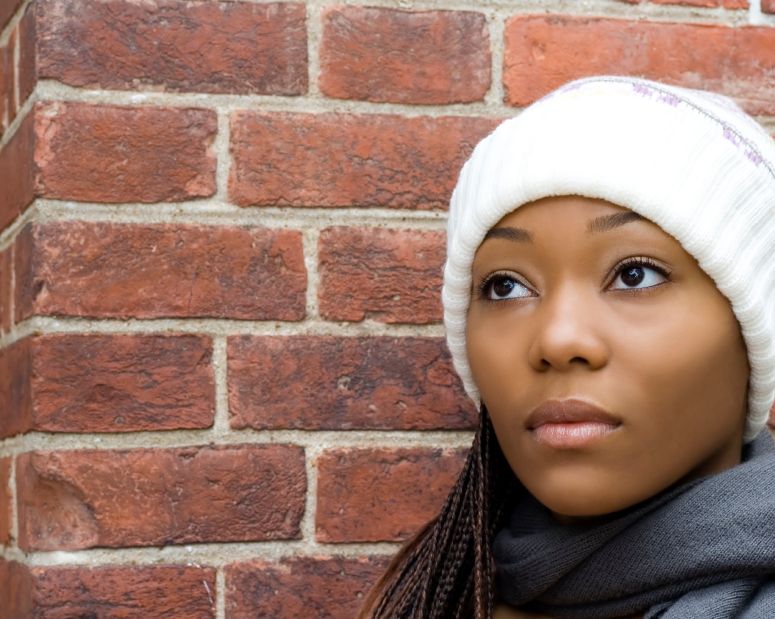 Many women experience some type of sadness after an abortion. When a woman has an abortion, it is because something went wrong; and she now has an unintended pregnancy and has to make a life-alternating decision. It’s a challenging time, often coupled with stress, and sometimes the loss of a relationship. To make things even harder, most women don’t share their abortion stories. We tend to keep it as a secret, and there are few opportunities to talk about abortion. There are physical changes too. A pregnant body produces HCG, and when a pregnancy is terminated (either through an abortion procedure or a miscarriage) there is a dramatic shift in hormones. This is one of the factors that can make you feel out of whack. In addition, it can take a few weeks for some of the physical changes of the pregnant body to subside, such as breast tenderness or nausea. So are you at risk for depression or some type of mental illness just because you had an abortion? The short answer is No. Groups that seek to limit or end abortions have argued that women who have abortions are at high risk of mental health problems, mainly because they regret their decision. This has been used as a way to discourage women to get abortions. In fact, former President Ronald Regan famously pressured Surgeon General C. Everett Koop to say that abortions were bad for women’s health. Thankfully, the doctor in him prevailed over the politician! Several research studies have been undertaken in response to the abortion-mental health issue. A 2013 UCSF study found that while many women experience a mix of emotions after an abortion (ranging from sadness to relief), 95 percent of women who have abortions ultimately feel they have made the right decision. A 2011 study from Denmark looked at the records of 85,000 women who had a first trimester abortion and found that there was no increase in mental health problems after an abortion. But, even if the research shows no direct cause, the pain is still very real for many women. I want to share some resources with you. A great place to start is Exhale, which offers a free, national talk-line that provides emotional support; the website provides resources and information. As a bonus, the Exhale counselors speak multiple languages including English, Spanish, Cantonese, Mandarin, and Vietnamese. I also love this (albeit lengthy) pamphlet from a women’s health group in Canada. They break down the stages of grief and offer some great coping strategies. I wish you a speedy recovery. And let me add a word of caution. Depression can be very serious. If you are thinking about harming yourself or cannot see a way out, please alert a close family member or friend and seek out professional help. I wholeheartedly believe the sadness that comes after an abortion whether a woman regrets it or not is spiritual in nature. The spirit of life was inside you and it died (spirit of death entered). This happens when women miscarriages. I’m sorry for your loss and the emotional repercussions of your abortion. Regain the spirit of joy through forgiveness and mourn the loss of life that was once inside you. A small ceremonial with you and your partner, a balloon in the air, anything to acknowledge that life and pray blessings upon it in heaven. Forgive yourself and be forgiven, give thanks and receive God’s unconditional love. Joy will follow.